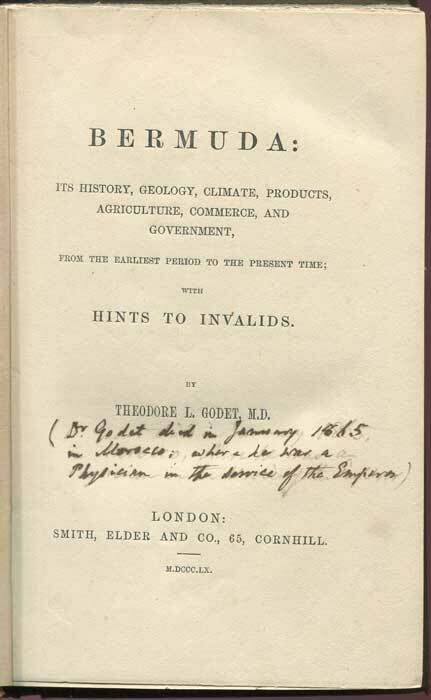 GODET Theodore L. - Bermuda: its history, geology, climate, products, agriculture, commerce, and government, from the earliest period to the present time; with hints to invalids. xv + 271pp + 16pp publisher's catalogue at rear. 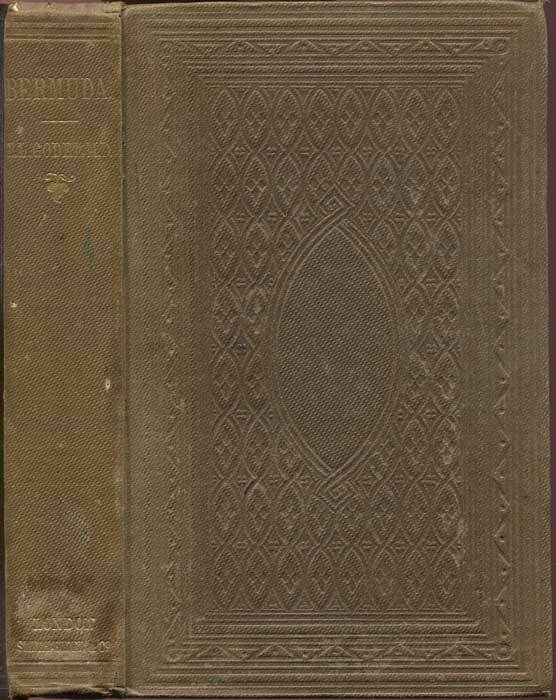 1st ed., contemporary m/s endorsement on title page otherwise clean in worn original blind stamped cloth, front hinge loose.Very scarce.